Here at our Cyprus Dive Centre your Scuba Internship has all you need to get wet and start diving. Should you choose to train with us and take part in our Assistant Instructor Internship, our professional Divemasters, and Instructors Training, we will guide and advise you on all of the elements needed to reach Assistant Instructor level. 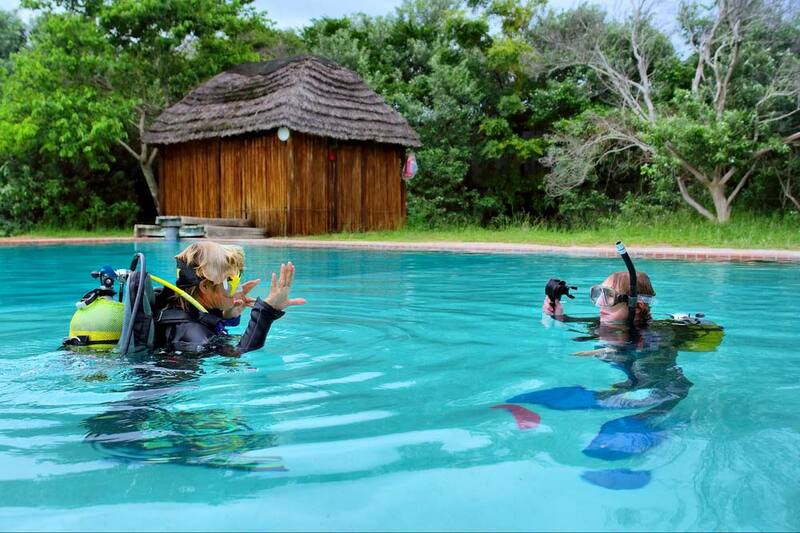 Every member of our staff is on hand to make your dive experience a safe yet exciting one. We will always ensure you are able to take full advantage of all the benefits included in your internship program. We guarantee you hands on and helpful experience as well as a scuba diving training course that runs smoothly and easily giving you time to dive and study scuba. The Assistant Instructor Internship involves many challenges, yet gives you the experience and knowledge to begin learning the PADI diver education system. You will need a Padi IDC Crew Pack to start your Assistant Instructor Internship. If you are looking to become a scuba instructor, the PADI (Assistant Instructor Internship) that we provide is a fantastic way to enhance your current diving skills. Our courses help you to improve your understanding of how you can move on to the IDC (PADI Instructor Development Course.) You can be taught by experienced professionals and you will learn this first portion of the IDC which will help you to move on to the PADI Open Water Scuba Instruction Course (OWSI). When followed by a successful examination (IE) these can all put you on the right route towards the certification as a PADI Open Water Scuba Instructor. All of our courses can be challenging, yet we have designed them with careful planning. We have a reputable diving centre managed by a leading Course Director who guarantees that you will develop your diving abilities through learning. We promise to give you professional advice and guidance, knowledge through study and training, as well as confined and open water skill assessments. You will practice and build on your responsibilities and duties as a Divemaster, until we feel you are ready to qualify and move on to the next level. To help you through the program, PADI has developed an eLearning for Padi Assistant Instructor. As well as PADI IDC Crew Pack 2014. You build upon your diving abilities and organize and supervise scuba diving activities, while developing underwater skills and your classroom teaching skills. What Can Padi Assistant Instructors Teach? You are going to need to own Latest and the most up to date PADI IDC Crew Pak for PADI Assistant Instructor. The PADI IDC crewpak includes all the materials needed to prepare for a PADI Assistant Instructor or Padi Open Water Scuba Instructor course. Want a fun and exciting dive career! We provide all the latest and most up to date materials (PADI IDC Crew Pack) needed during the course and ensure you will be in great hands with experienced and friendly instructors and staff. We are here to help you understand all areas and requirements of the Internship. As our accommodation is located above the diving centre, travelling to your course is not necessary unless you are staying in town not far from the diving centre. As a Divemaster, why not take your current scuba skills to the next level and make a real career out of scuba diving?! Learn in-depth dive theory, the practice and running of a dive school, as well as gaining certification as a PADI Rescue Diver. Call us or email us at Easy Diver today and book a place on our internship to avoid disappointment!